I am a huge Tolkien Nerd / Geek. I’ve probably read the Hobbit about 30 times, and Lord of the Rings about 25. I’ve read the Silmarillion about 5 or 6 and read my kids Roverandom at night to try and get them hooked on the Master early. Seriously though Roverandom… is awesome… it’s about this little dog who crosses a wizard, they are subtle and quick to anger you know… And goes on adventures, meeting moon dogs and traveling the world! Alright. Back to the matter at hand. 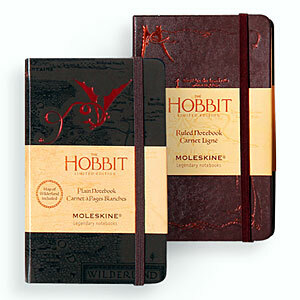 this is a Moleskin… and a Hobbit collectible… It needs to be mine. both of them do, I doodle all the time. Mostly in Moleskins, Currently I’m rocking the Peanuts Anniversary edition And the Hobbit needs to be next on the List of doodle books! 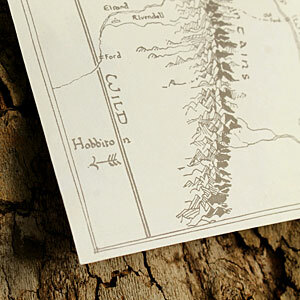 ThinkGeek :: Limited Edition Hobbit Moleskine Notebooks.